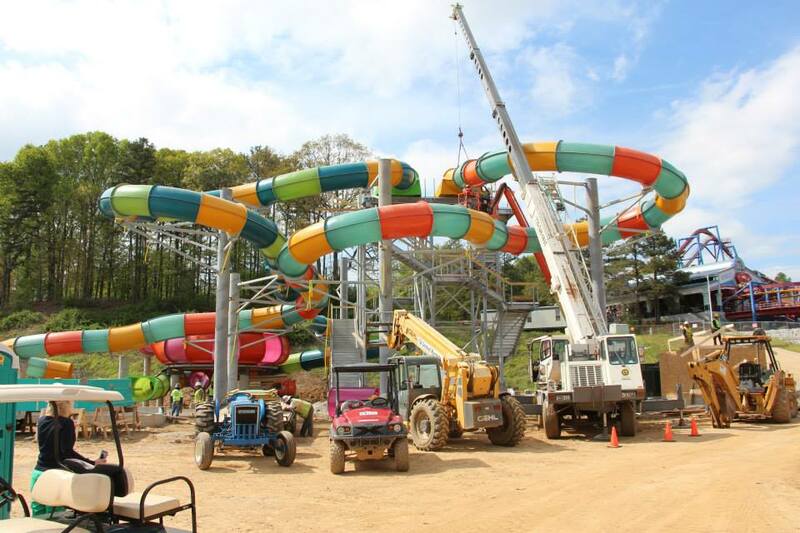 Huge progress has been made on the all-new Hurricane Harbor water park, currently being built at Atlanta's Six Flags Over Georgia. One of the park's slide towers, named Bonzai Pipelines, just went up in a short span of time and is now proudly standing over the new area. The brightly colored slides can be seen in the park's photo above - there are three slides coming off the tower in total. Two of them are traditional tube slides, while the third is a large bowl slide. You can see the pink and red bowl section in the lower left of the photo. 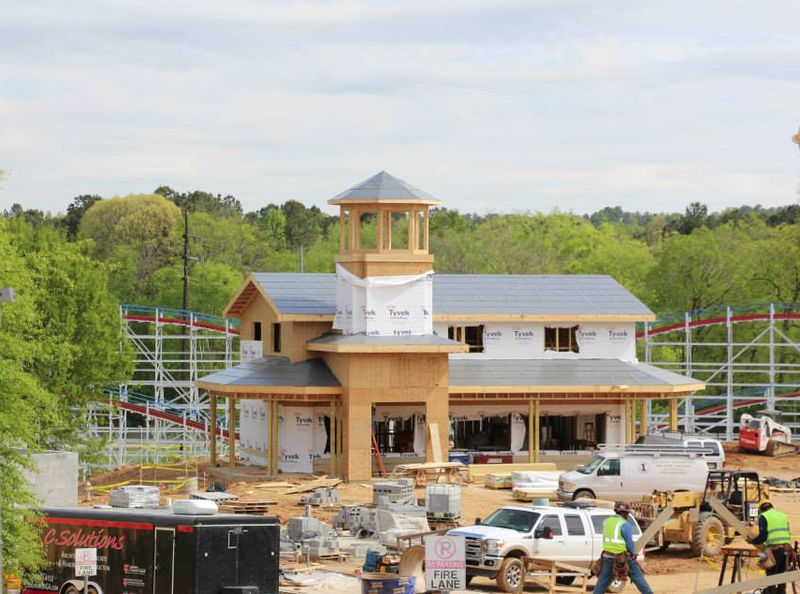 The rest of the park is coming along quickly, too. Above is a shot of Tidal Wave Cafe, Hurricane Harbor's new food and beverage outlet. The wavepool is also nearly complete, with final touches being placed throughout. There's still one more attraction tower yet to go up, and that will hold a unique first-of-its-kind water slide when completed. The park also recently shared a video update that actually gives a look at how much work goes into the detailing of the new area. You can check that out at this link.